Ooo lordy! 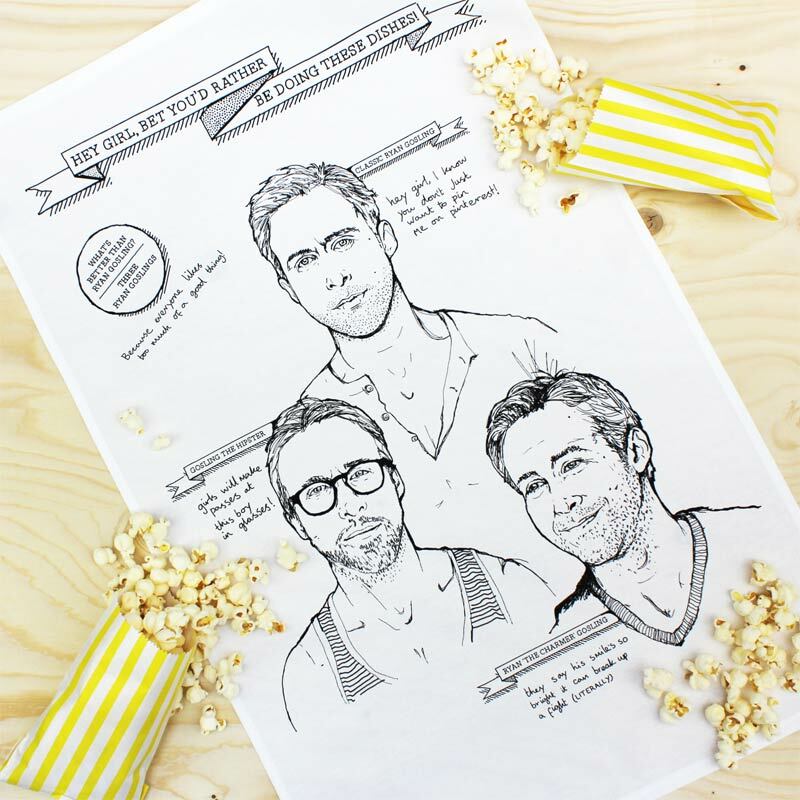 It's Ryan Gosling... in my kitchen... (on a tea towel, damn it)! That's right ladies (and gentlemen), Dear Colleen's 'Dishes I'd Rather Be Doing' extended tea towel range is finally here. Choose between your glamorous Hollywood Dishes (George, Johnny, Brad, Owen, and Jake), not one but three Ryan Goslings on Hey Girl, and your classic Costume Drama hotties (Colin, Sean, and Hugh).